Since spinners have become such a craze, it’s obviously extremely difficult to stand out. 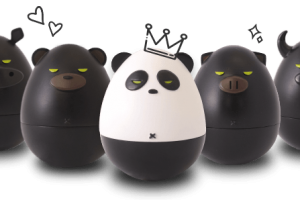 One way to do that is with a striking design. 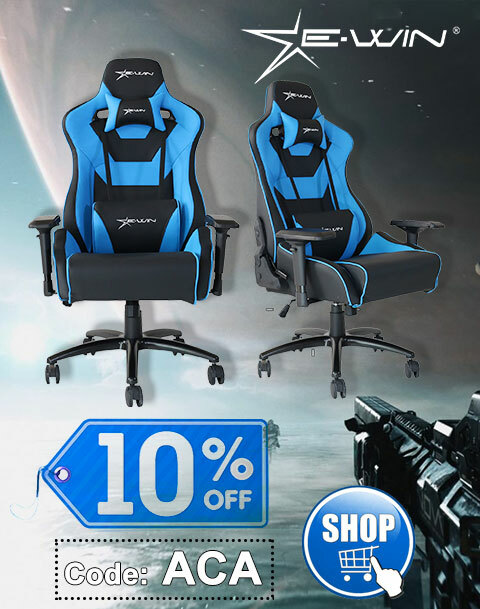 Of course, looking interesting isn’t everything, there’s also quality and performance. 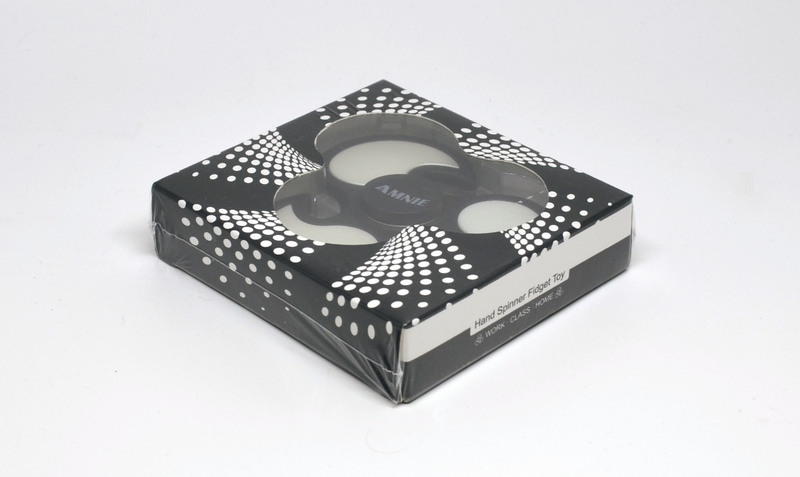 Unlike many spinners, the AMNIE FS108 Fidget Spinner is professionally packaged in an overwrapped cardboard box. Between that and the plastic form on the interior, this fidget spinner is likely to arrive in the top condition you would expect. The top of the spinner. As you can see from the photos, the FS108 has an interesting design, with teardrop fins instead of the usual circular counterbalances. The front is accented with white on the interior of the fins, while the rear is all black. 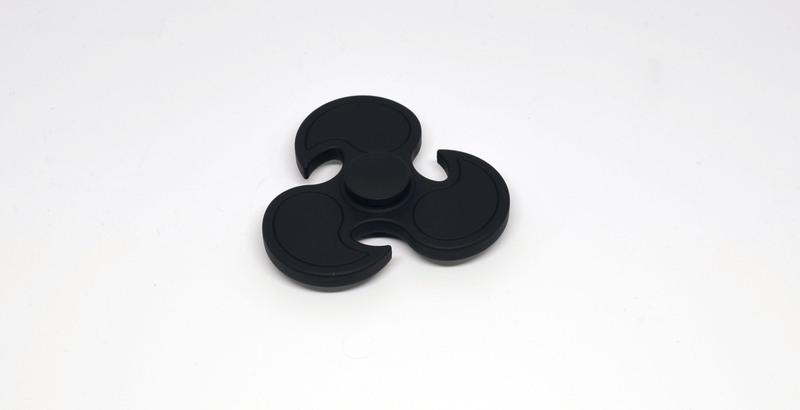 The whole spinner has a rubberized feel to it with a substantial heft missing from many other spinners. The underside of the spinner. The proof with a spinner, however, is in fact how well it spins. In that regard, the FS108 spins beautifully. Thanks to its clearly premium build quality and weight, as well as a smooth mechanism, it’s able to spin for several minutes – in fact 3 minutes and 53 seconds with a sub-max push – putting in at least a minute or two longer than many other spinners I’ve tried. 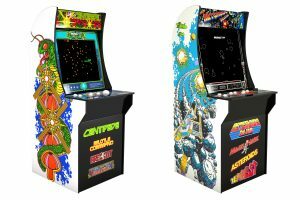 And thanks to the reversible white/black on the front/back, you get twice the visual spin effects for the price. This definitely ranks amongst the best spinners on the market. 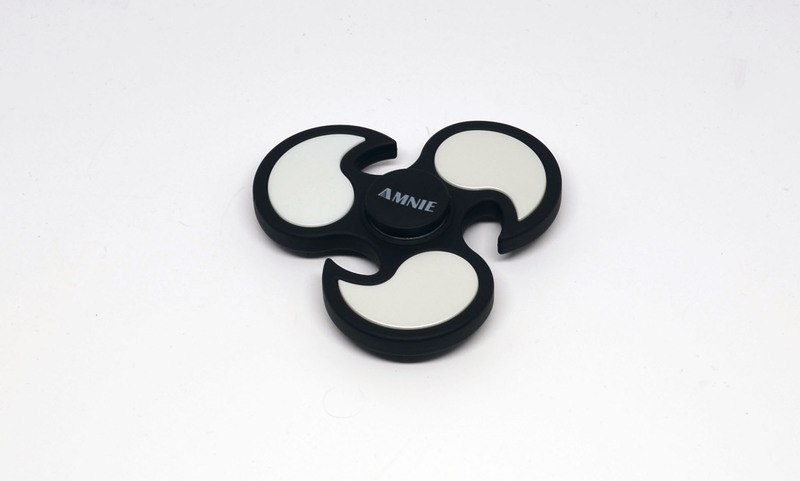 Because of its overall quality and performance, I’m happy to award the AMNIE FS108 Fidget Spinner an Armchair Arcade Editor’s Choice award for 2017. 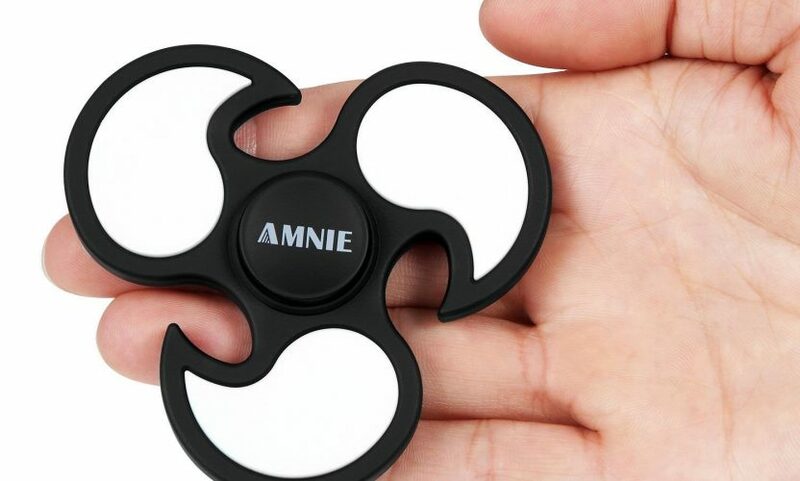 If you’re looking for a distinctive looking fidget spinner with excellent performance, the AMNIE FS108 Fidget Spinner delivers.